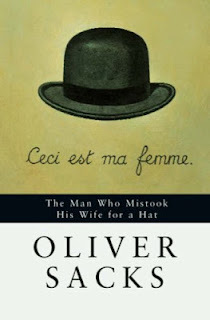 Naturally, a Manuscript: The Man Who Mistook His Wife for a Hat and Are You Smart Enough to Work at Google? 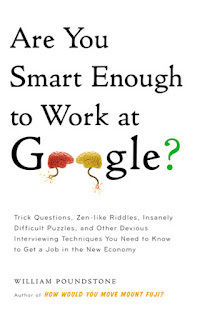 The Man Who Mistook His Wife for a Hat and Are You Smart Enough to Work at Google? The Man Who Mistook His Wife for a Hat is something of a non-fiction classic, or so I've heard. Oliver Sacks, a professor of neurology and psychiatry, delivers exactly what the title promises: it's a story about people with serious neurological diseases, tumours or deficiencies. On the outside, it might seem like a boring, scientific work with long discussions of lesions and cancers. Professors are known to rattle on about their favorite subjects, with little regard to the reader. The Man Who is nothing of the sort. It is written with wry wit and fresh academic humour that is aimed at pleasing audiences that have no previous contact with the neurosciences. The book is split into different "cases" that not only tell the stories of different patients, but also show the reader the different effects that problems in our brains can cause. At times it's sad (a man really does mistake his wife for a hat), but mostly its stirring in a slightly comical way. The most important point for me, however, was to see the problems that ordinary people face (like forgetting where you put your keys) exagerated to the point where those characteristics are all that is left of your personality. The next time you have trouble recognizing someones face, remember the man who was so bad at it that he mistook his wife for a hat. The other book that I skipped through was not as funny, but it did elicit as much serious thinking. 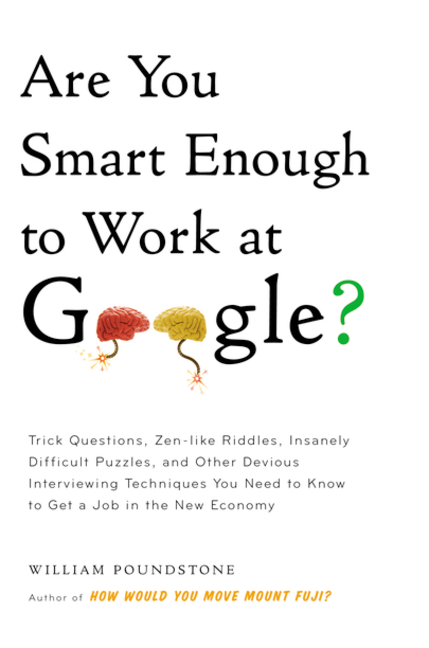 Are You Smart Enough to Work at Google? by William Poundstone is a straightforward book about today's job interviews, especially those where interviewees are asked crazy or abstract questions like "Estimate how many golf balls could fit into this room?" and "Design an emergency evacuation plan for San Francisco." For some these questions might seem unlikely, but it appears that companies like Google, Microsoft and many of the top banks and consulting companies use these questions daily. Not much else is on offer here though. You get a lot of quirky, difficult questions with good answers that walk you through the key logics involved. Its a nice read for someone nervous about an upcoming job interview, but for other there might not be a lot to go on here. The actual "reading" part makes up only half of the book, and the rest is devoted to discussion of the best answering methods for each question. One of the big upsides of this book is teasing fellow students with ridiculously difficult puzzles. Just watch your friends squirm when you tell them to estimate the number of bubbles in a bottle of champagne. There is no right answer, mind you, just a bunch of tricks to get you on the right track.